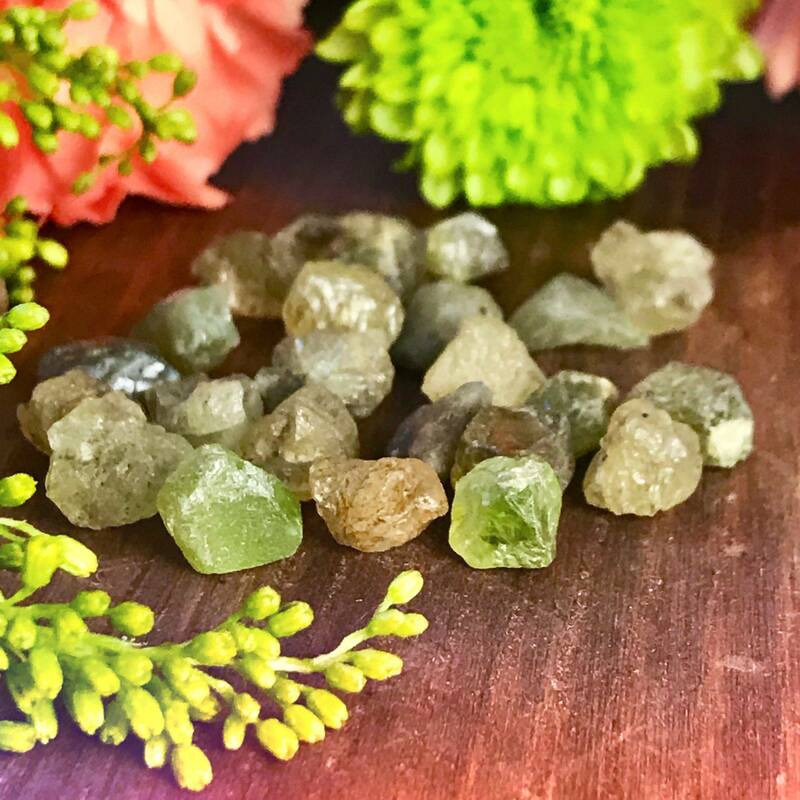 Dear ones, I’m so happy to have these back in stock! 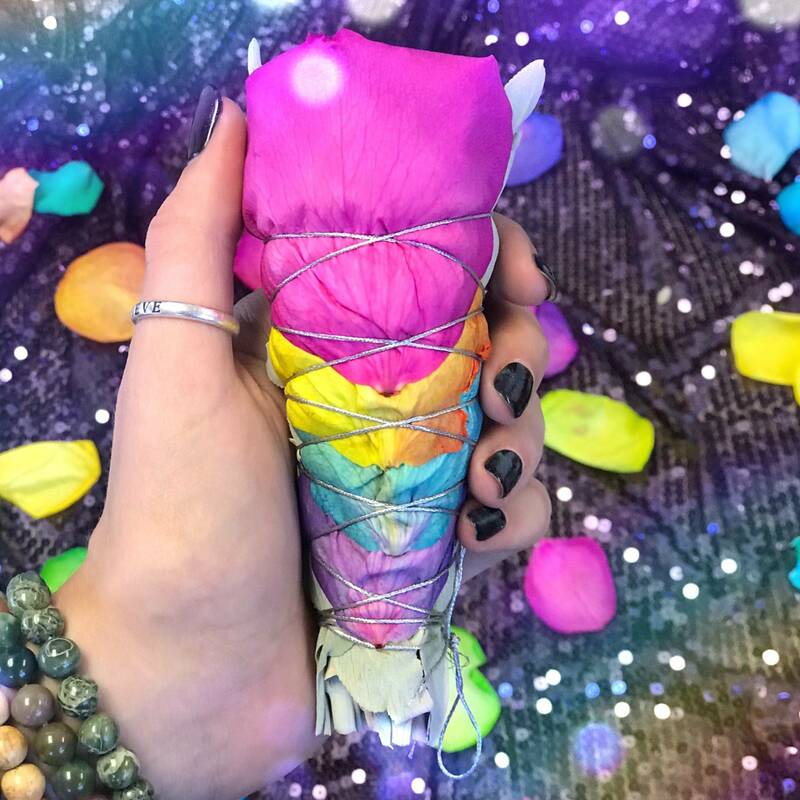 These rainbow smudge bundles are an herbalists dream. Exquisite, beautiful and fragrant, wrapped right here at SG headquarters, these are like bouquets of healing magic. Consider this your mind, body, and heart healer, freshly picked from Mother Earth. 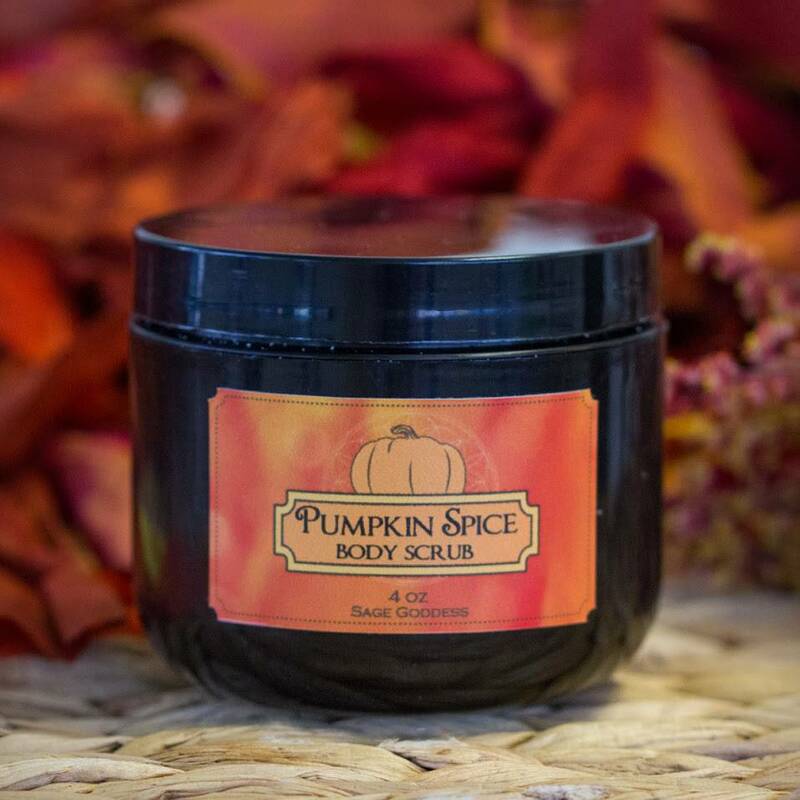 Enjoy this handcrafted offering, and know that it was made just for you. 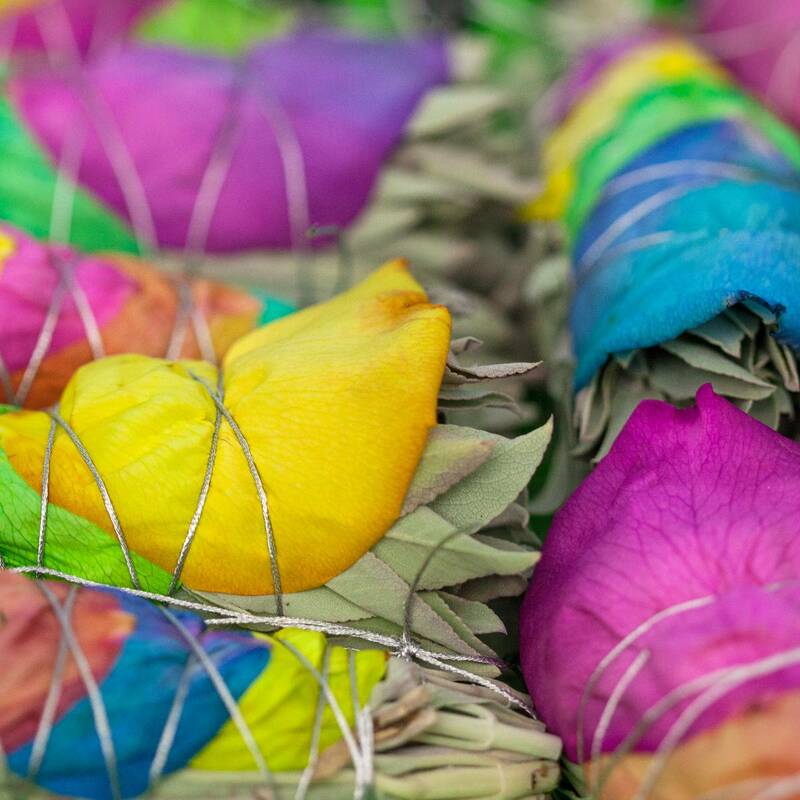 These magnificent smudge bundles are made of white sage – my signature. Elders have burned white sage for centuries in order to purify and consecrate their space. The smoke of this ceremonial herb, in particular, is said to draw positive spirits and discourage the presence of any unwanted energy. 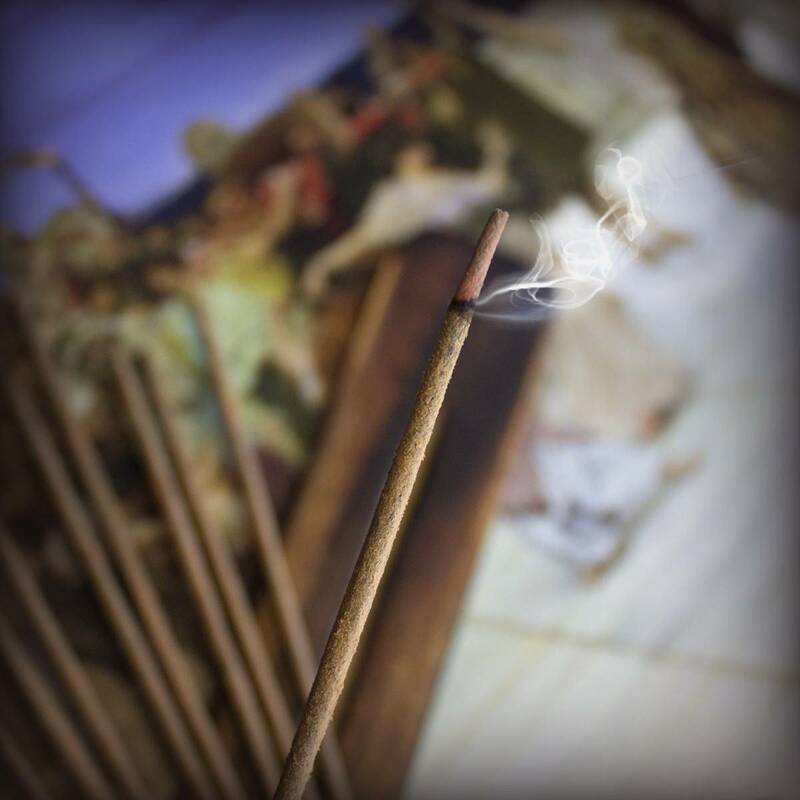 I burn white sage every day, to keep my own vibration and the energy of my sacred space pure, high, and light. 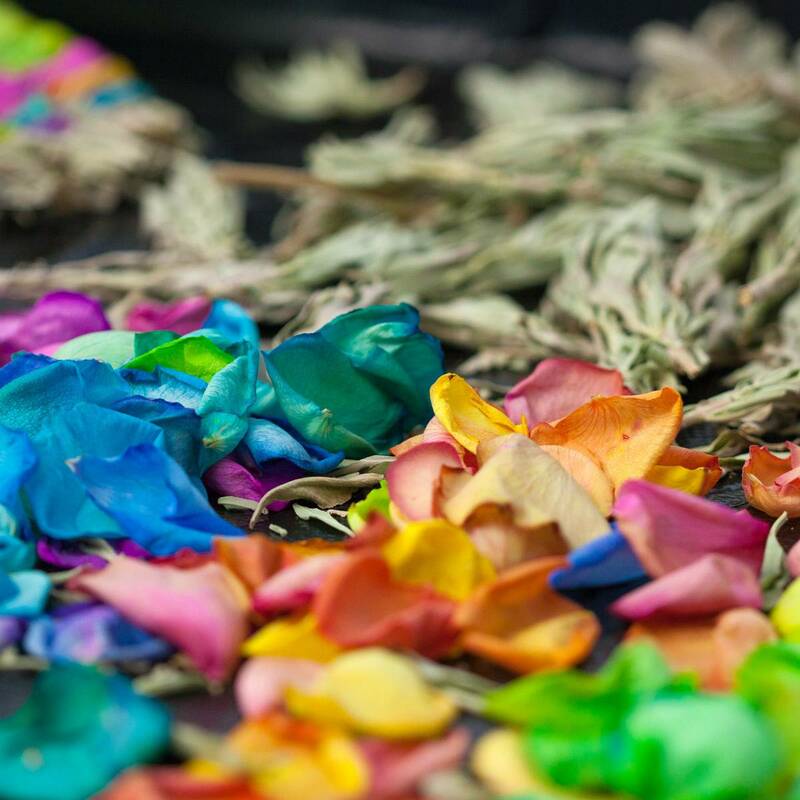 These bundles also feature stunning rainbow rose petals, for added color and heart-healing magic. 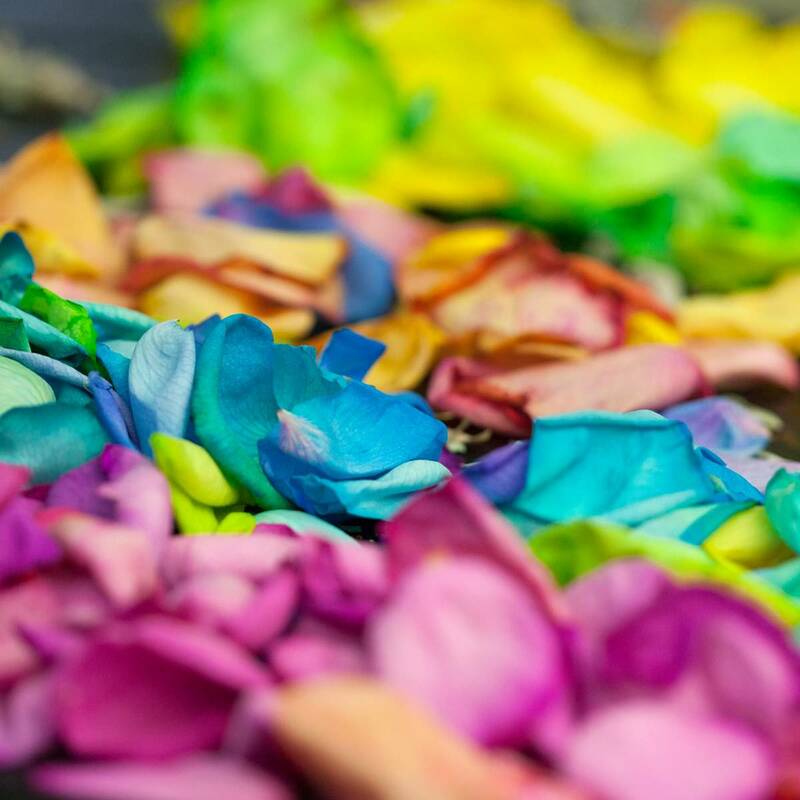 The rose has been used as an ingredient in love spells since ancient times, and the petals of this enchanting flower are known to bring forth good fortune, happiness, and soul connection. This listing is for one (1) Rainbow Smudge Bundle. Yours will arrive lovingly parceled for your enjoyment and delight.